Known as iatro-mathematics, medical astrology is an ancient medical system that assigns the sun, moon, planets and the twelve astrological signs to different parts of the body, looking at diseases and ailments through this lens. Medical astrology signs cover the body from head to toe, heading being Aries, toe being Pisces. 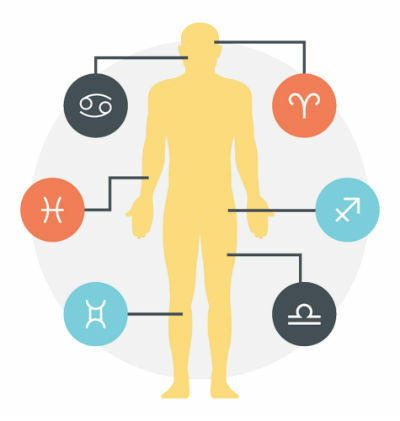 What this means is that each individual has a unique medical astrology chart, created by a medical astrologer, based on the individual’s natal chart and where the planets are today. After looking at the natal chart, medical astrologers tell the individual what types of physical problems the individual is more likely to experience. For example, someone with the Sun, Moon, or a particular planet in Aries is more likely to experience headaches or other problems related to the head. It’s a complex system; for that reason, medical astrology predictions must be made on a case by case basis. In this article, we’ll cover which body part is ruled by which sign. Wondering what sign rules the heart? What body part is Scorpio ruled by or what part of the body is ruled by Aquarius? What zodiac sign is ruled by the Moon? Below we cover all and more, including some history and cultural background. Greek astrology (also known as Hellenistic astrology) is the original basis of medical astrology. It then bloomed throughout the Middle Ages and Renaissance. Medical Astrology, back then, was mainstream with doctors of all types consulting and practicing it. To become doctors, they were even required to study it and pass an exam where they had to answer medical astrology questions. This was true until about 1665s. Mainstream doctors believed that the signs of the Zodiac were essential in understanding and mapping how the human body functioned and how different organs were influenced. The astrological-anatomical connections the doctors made were for practical purposes. For instance, if a doctor was seeing a patient who had some intestinal issue, they’d believe that that condition had to do with Virgo, As Virgo is the ruler of bowels and bowel movement. Next, they’d check which planets are in Virgo at the time of the medical exam, as each planet helps explain the condition of the associated body part– whether it’s inflammation, tenderness, a serious disease, chronic or acute, etc. Today, it’s not easy to find medical astrologers for a variety of reasons. Mainstream medicine has moved away from natural remedies to pharmaceutical and biochemical approaches, though there’s a growing movement of people who seek herbal, natural solutions – from yoga to veganism, to eating certain plants, drinking herbal teas, and working with energy healers. Here’s a list of the major body parts and which zodiac sign they are ruled by. Taurus: The neck, the teeth, the throat, your tongue and speech, cerebellum, the nerves connecting the throat and neck, larynx. 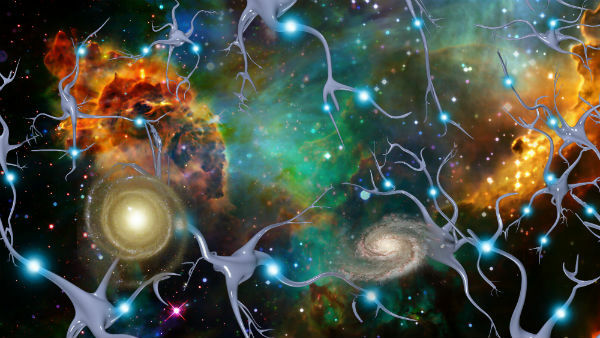 Certain body parts might be ruled by more than one zodiac constellation, and planets might have different effects on different body parts. Any good astrologer will ask you for your date and time of birth as well as the location where you were born, and will instantly map the sky, as seen from that location, at the day and time of your birth. This is your astrological natal (birth) chart. This natal chart is divided into twelve equal areas, called houses. Each house stands for a life area, such as relationships, money, family, goals, spirituality etc. Each house features some planets, based on where they’re at the time of your birth. Their location determines their lifelong influence on you. Your astrologer then looks at where the planets are today to determine what has changed in your life and what’s likely to change in the future. (Click here to learn more about Western astrology). 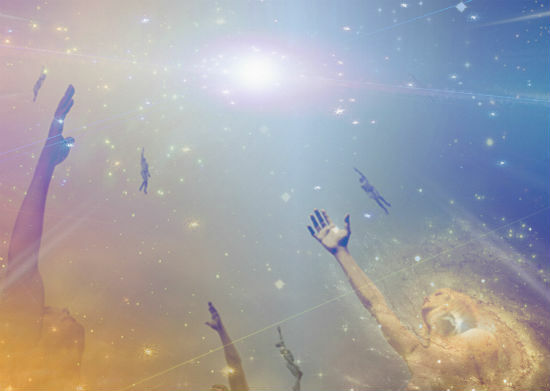 Medical astrologers do the same, except they also connect all this information to your body – different body parts, conditions, predictions, suggestions and more. Sometimes, they connect all this information to other things that they see in your chart – relationships, family, friends, general health, life goals etc. “He who does not understand astrology is not a doctor but a fool,” said Hippocrates, the Father of Medicine, who lived between 460BC and 380BC. Hippocrates and his contemporaries believed that it was possible to diagnose diseases before they even appeared in the body – by looking at one’s natal chart where they could see the planetary influences in houses etc. Accordingly, a disease can be expected when a planet receives a 90 or 180 degrees (opposition) aspect; when Saturn, Mars, Uranus, Neptune or Pluto are posited in the sixth, the eighth or the twelve houses; or when these planets occupy Virgo, Scorpio, and Pisces; or when these planets occupy the ascendant. These are just some examples. There are so many intricate influences that instead of trying to figure this all out on your own, it’s best to have an astrologer help you. If you have general or specific concerns about your health and wellbeing, always consult your physician. The information here is not meant to replace any treatment or diagnosis. Truth is, they are not easy to find. Our sister platform, Kasamba.com, has more than a few. A simple search for “medical astrologer” in the search bar will help you to find the medical astrologers who are online (or available via email) at the time of your search. You can sort them via ratings, price, and other relevant criteria. It’ always a good idea to take a look at their profiles, check out the ratings they received from their clients, and the reviews they got – if you have a few minutes, go through these reviews and see what people had to say about them. Kasamba gives you free trial minutes any time you try a new advisor. Make sure to use those minutes to your advantage – try to get to know your medical astrologer, begin asking them your questions to be able to establish that they are the right reader for you. When you find the right person, you can stay for a paid session and ask all your questions. Some people find it useful to write their questions down before the session. It helps them clarify their goals and what would like to accomplish through their session. It also helps them remember their questions – a sometimes things get intense during a session and people forget some of the questions they want to ask. Having it all written down helps. Most people prefer instant live chat but you can also email your astrologer. Some astrologers might also be available via phone. The free trial minutes are, however, only available for the instant chat. After your reading, make sure to write a review and help others. Pay it forward!